Your Ohio lawn is greening up, and thanks to the rain and warmer temperatures, our landscapes are growing again. We’re all ready to get outside! But, wait. What’s going on with the matted, patches of soggy dying grass? (Is it dead?) Why are there weeds cropping up in beds already? What’s the deal with the damaged turf near sidewalks and parking lot edges? These are all common issues we see in Northeast Ohio lawns in early spring. As a facilities manager or commercial property owner, getting your landscape in shape and looking great is a priority. The good news: These common turf troubles are nothing to worry about, and our Client Care Specialists are out in the field now addressing these lawn issues so we can treat, repair, reseed and handle any lawn care problems. 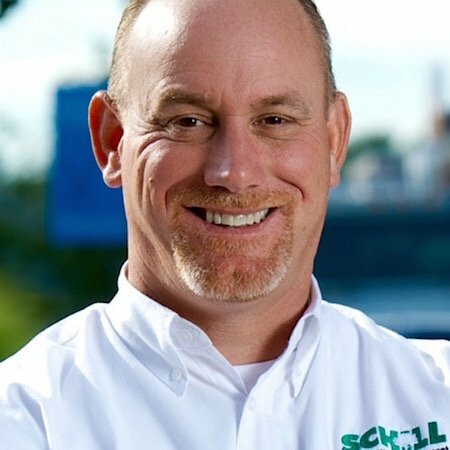 Let’s address the top four issues commercial property managers are calling us about now and the solutions Schill Ground Management provides for annual maintenance customers. Wet grass and cool weather are prime conditions for pink snow mold. You’ll notice it because areas of lawn will look matted with a pink sheen. Despite the name “snow mold,” snow is not actually necessary for pink snow mold to set in. (Gray snow mold, on the other hand, generally does not impact a lawn unless it has been covered by snow for about two consecutive months.) Pink snow mold is so common in Northeast Ohio, we basically expect it as a rite of spring. The fungus usually kills the blade of the grass, but usually does not impact the roots, so it’s basically a surface issue. Your grass usually recovers on its own, after the ground dries out and grass receives appropriate air and sunlight. The first couple mowings will cut off dead grass and reveal green growth. In some cases, raking out the lawn (also called dethatching) to remove dead grass, debris and other organic material will loosen up the lawn and allow more air to penetrate. Drying out the lawn is the key to naturally removing pink snow mold and other lawn care diseases that set in because of wet conditions. In severe cases, a fungicide may be used. However, the cases of snow mold we are seeing this year have not been serious. The whole spring showers thing can take a toll on your commercial property. Lawns are damp and you’re seeing mud. Some spots on your property might be retaining water, which could indicate poor drainage. 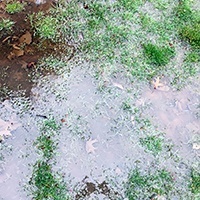 Now is a great time to walk your property with a Client Care Specialist, who can identify whether wet spots of lawn are a normal side effect of damp soil and lots of rain (the excess water settles on the top until it can sink into the ground); or if there are underlying drainage issues that should be managed. Why deal with drainage now? Coming off of a damp winter, our early spring is already quite wet. We’ll continue to see precipitation until mid-summer, when our region typically dries out. Address drainage issues now and you’ll avoid landscape damage down the road. 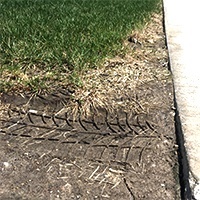 We had an easy winter in Northern Ohio, but some property managers will still notice signs of damage from ice melt products, particularly on turf that borders sidewalks and parking lots. When ice melt products are used incorrectly, they draw moisture away from grass and plants, causing a “burn” or browning effect. (Schill Grounds Management uses an innovative liquid deicer that minimizes these issues.) 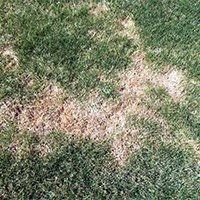 Lawn areas that were overexposed to ice melt products might need repair now that the growing season is here. Damaged lawn can be renovated and overseeded now so healthy turf grows in. Early spring is a great time to overseed or reseed lawn areas because spring showers eliminate the need for irrigation. 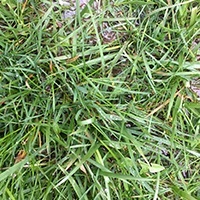 Crabgrass likes to fill in where lawns are weak and in “vacancies” on your property like inside sidewalk cracks, along curb edges and by other borders. Crabgrass and other problematic weeds are persistent, and that is why we recommend crabgrass control to prevent it from cropping up in the lawn. Crabgrass control needs to be applied in early spring—before soil temperatures get too warm. If you wait, weed seeds will set in and controlling crabgrass after it germinates requires additional care. Another reason why crabgrass control is important is that it allows your good grass to prosper. When you eliminate weeds, healthy grass fills in. A full lawn of lush grass will actually help keep weeds out because there will be less room for those bad guys to move in. Crabgrass control must be applied annually to create an invisible barrier of protection. The control not only protects grass, but it fights off weeds and other common problems, too. Don’t wait to put down crabgrass control. 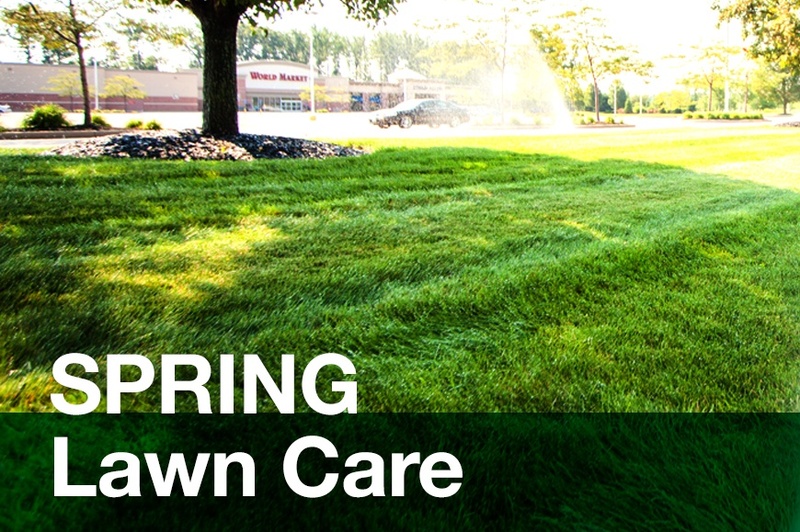 Spring is the season of renewal, and that’s when our teams are in the field addressing turf issues that are common in Northeast Ohio properties: pink snow mold, winter damage, drainage problems and lawn areas that need reseeding. Taking care of the turf now sets your commercial property up for a healthy summer. Now is also the time to consider what enhancements you’ll add to your property. Flowers add a pop of color, and mulch is important for protecting soil and plants. Irrigation start-up will happen soon, so an irrigation audit can point out ways to save water this year. Let’s talk about how we can prep your Ohio property for a successful summer—and beyond. We want to work within your budget and address your landscape priorities. Call us any time at 440.327.3030,or fill out this simple contact form and we’ll get in touch with you.